Dell Chromebook 13 Review – Power, Performance, and a Carbon Fiber Lid. Oh My. 01/30/2018 07/25/2016 by Andy Z. The Dell Chromebook 13 is a decently powerful laptop with an impressive design. Dell isn’t all that big on Chromebooks. But out of the few models that they’ve produced, the Dell 13 is a very impressive model. It’s packed with power, intuitive design, and a laptop body that looks very expensive (but it’s pretty affordable). It’s a pretty awesome laptop. And it’s built for professionals that travel and need to be mobile. 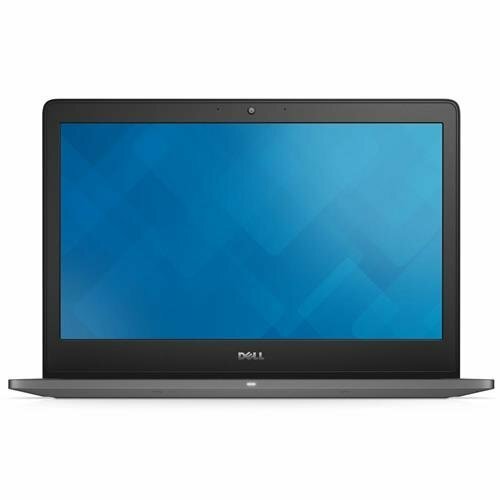 Personally, I think the Dell 13 by Dell is quickly overshadowed by other laptop models that have received more press, such as the HP G5 11 and Acer Chromebook 14. This particular laptop isn’t covered much in the news. I’m not sure why. It’s got a lot to offer if you’re just looking for a moderate to a high-end Chromebook. Anyway, let’s get on with this quick review of the Dell Chromebook 13. Last updated: 8/21/17 (happy eclipse day). The Dell Chromebook 13 is a business-class laptop with high performance and a powerful processor. First, let’s get the price out of the way. The Dell Chromebook 13 will run you about $799.99 for a fully-loaded laptop. Update: As of 8/21/17, the MSRP has dropped down to just under $300 for the basic model. Now that’s a bargain. If you don’t care for getting the newest technology and just want a cheap, affordable Chromebook with a powerful spec sheet, this beast is a worthy consideration. You can choose from a range of customization features, so it’s up to you to choose what you want. This review covers the basic version. It’s considered a pretty high-end laptop with a frame that gives a sleek “I’m a professional. And I own a Chromebook.” look. It’s also got a ton of power under the hood. For starters, it’s equipped with an Intel Celeron 3205U 1.5GHz Broadwell CPU with 4GB of DDR3L RAM and 16GB of SSD storage. You can also upgrade to 32GB for a bump in price. Compared to similarly-equipped laptops in the same tier, such as the Acer Chromebook 15 and Acer Chromebook 11, the Dell 13 is pretty much on-par with them in performance. The majority of Chromebooks have Intel Pentium or low-class Celeron processors, which keeps the price lower but performance also suffers. However, the Dell is loaded with a decent build for multitasking and gettings things done. The RAM is also pretty decent. You get 4GB. That’s double the multitasking power, and it shows. I can usually have about 5 apps open, a few tabs, and some music playing on YouTube before the performance starts to stutter. However, on Dell Chromebook 13, I had about 9 apps open, 5 tabs in 2 windows, and 3 YouTube videos playing without a hiccup. It goes to show how much of a difference a high-end processor with double RAM makes. I had to open extra apps and tabs way beyond my usual workflow just to test out the performance. It comes with the standard 16GB you find on most laptops. This is nice if you plan on storing a lot of files locally. Personally, I don’t use that much storage anyway, so it’s not a perk for me. I prefer to store stuff in a backup drive. It doesn’t have any special dedicated graphics card for all the gamers who want to play some games on a Chromebook. It uses the Intel HD graphics coprocessor, which is more than enough to run any game on the Chrome web store and other games that aren’t officially supported by Chrome OS yet, such as Minecraft, but with some hacking, it’s possible to play it. The coprocessor is perfect for moderate gaming and watching videos. As with any Intel-based Chromebook, you get Intel HD graphics for gaming and video playback. Update: Back then, this was considered a lot of power. Nowadays, typical laptops can have Intel Core CPUs with 6GB of RAM. The Celeron chipset is a Dual-Core processor built for multitasking and speedy browsing. It’s built to be a faster and speedier system and appeals to the business demographic for doing productive work. You can still mess around on this laptop- it can play games, movies, videos, and other stuff. But if you’re looking for a laptop for business, this has more than enough power for Skype conferences, documents, spreadsheets, slideshows, emails, socials, and whatever else you need. Keep in mind that most Chromebooks average around $200-300. It also has an aluminum body that gives it a metallic look. This is similar to the Acer Chromebook 14 because it’s also made the same way. The metal finish really makes it look super expensive. As for dimensions, it measures 12.93’’ x 9.03’’ x 0.66’’. The frame has a tapered design, and it measures about 0.51” at the at the front of the frame. That’s about just over a half-inch in height. This thing is thin. It’ll fit in your bag or you can easily just carry it. One thing that caught my eye, which I didn’t notice at first, is the lid itself. The lid is made out of carbon fiber, which is something that I haven’t seen before. Carbon fiber is known to be durable and super lightweight. The lid is resilient and lined with rubber to handle against bumps. I don’t think you toss this laptop around, but it does offer some degree of protection and durability compared to typical Chromebooks. High-end performance cars, bicycles, and even hunting gear all use carbon fiber into their build. This is something that’s pretty awesome and gives it a unique finish. The Dell Chromebook 13 is one of the most freakin’ awesome laptops around. It also feels pretty sturdy due to the metal. The Dell 13 has an aluminum panel on the bottom. For the weight, it only weighs about 3.2 pounds. It’s not too light, but it’s not too heavy either. For a 13” laptop, it’s a decent weight. It’s not something you’d want to carry around constantly, but it’s easy to lug around in a laptop bag. The 13” screen is a nice upgrade from the 11.6” screens, and it’s plenty enough for getting things done. I tried watching a few videos and played around with Google Docs and Sheets. The screen size isn’t too big, but it’s not bad either. I’m used to an 11’’ screen on my Chromebook, so the 13’’ feels much larger. I’ve always preferred desktops with large monitors and I’ve grown used to them. To be exact, the screen size is 13.3’’. It features a full HD (1920 x 1080 resolution), which offers a very pleasing experience. Not a lot of laptops offer full HD. Most cap at 720p. But the Dell 13 comes with a full HD display standard. It features anti-glare coating and works pretty well. I didn’t test it under bright lighting, but from what I’ve seen, it does filter out moderate lighting in the background. You can also get an upgraded touchscreen version of the Dell 13. It offers Corning Gorilla Glass as well for added screen durability. This is also a good idea if you want to play Android games or run Play Store apps on your laptop. Again, the screen isn’t huge, but it works. Switching between tabs and having a split-window on Chrome OS was easy and allowed plenty of screen space to multitask. The keyboard is backlit and feels nice and quick to type on. It’s made out of magnesium alloy on the tray and feels pretty sleek. The keys are spaced a little wider than what I’m used to as well. They have a very firm feel to them which makes it easy to type. It’s good for writers and people who type a lot. If you like the feeling of feedback when you’re typing on a laptop (or any computer for that matter), the laptop’s keyboard will have you happy. The keys travel a decent amount and are quiet to the touch. Responsiveness is perfect. As for the backlit keyboard, that’s new to me. I don’t type in the dark but the backlit keyboard is a nice feature to have. It gives it a very expensive look. The trackpad is large and feels responsive to even the slightest touches and swipes. It’s a glass touchpad which feels very comfortable to use and has the precision you’d expect. It’s also very large, which was annoying here and there when I just wanted to move my hand back after full-screening a YouTube video, but rather I trigger the trackpad and it pauses the video instead. It’s something to get used to since it’s a big pad that tracks your every gesture. It’s easy to use and has an even responsiveness. Many Acer Chromebooks have an issue where only the bottom half of the trackpad has any sensitivity, but the Dell Chromebook 13 seems to be evenly spread out amongst the entire trackpad, so it doesn’t matter where you press or swipe on the pad, it works. The speaker volume is loud, but not as loud as I’d expected. Most budget and cheaper Chromebooks have loud speakers, and it’s a known fact. These speakers don’t get nearly as loud, but the sound quality is more crisp and clean. But you can easily increase the volume using an app. I listened to some tracks that I’ve heard through speakers and earbuds, and the sound quality is significantly clearer compared to my current laptop. I can hear the bass and trebles in super crisp clarity. I’ll take this one’s speakers over mine anyday. When paired with the high-res screen, it’s perfect for watching YouTube videos and streaming media. The battery runtime on the Dell 13 lasted a whopping 14 hours on moderate use. Compared to the Acer 15 and 11, it outperforms them by almost 5 hours. That’s crazy. If you’re a professional that needs to constantly be mobile and you don’t have time to plug in your laptop for charging, the Dell 13 will last you a day-and-a-half even with constant use. I could see this being used by students as well. As you probably know, all Chromebooks run Chrome OS, which is Google’s open-source operating system. This copy of Chrome isn’t anything special and has all the same functions you’d have with any Chromebook. Dell doesn’t have any proprietary software or bloatware preloaded onto the Chromebook. If you’re not familiar with Chromebooks, you may want to check out this guide I wrote on the benefits of Chromebooks over Windows. In brief, you get the basic web apps like Docs, Sheets, Maps, and other essentials preloaded by Chrome OS. You can freely remove and add as many web apps as you’d like by searching for them within the Chrome web store. Chrome OS is built for speed, simplicity, and security. In case you didn’t know, they’re super fast and secure laptops. Most Chromebooks don’t have high-end hardware because they don’t’ need it. Chrome OS doesn’t really require anything too extreme to run quickly and efficiently. It also keeps them cheap and affordable, which is a strong point against Windows laptops- although they have their competitor machines, such as the HP Stream. They also have support for web apps to run offline, so the common myth that they’re useless when offline is false. There are plenty of things you can do an offline Chromebook. It comes with a standard selection of connectivity input/output ports. You get an HDMI port, a USB 3.0 port, an SD card slot, and an audio port on the left. On the right, you get a 2.0 USB port and a Noble Lock input. As for WiFi connectivity, it uses a dual-band 802.11AC WiFi and Bluetooth 4.0 for connectivity without wires. I couldn’t really make the Chromebook 13 lag unless I tried.But the stress tests I ran were way over what I’d normally use it for. But the stress tests I ran were way over what I’d normally use it for. Yes, it does lag after you hit an unreasonable amount of apps, tabs, and media, but it shouldn’t be an issue under normal use. If you’re looking for a fast laptop, consider it. I think it’s built and suited for more of a power user type rather than a casual user. If you watch a lot of movies, play games, stream media, or multitask, it’s an excellent choice as it’s a super-fast laptop with a lot of multitasking power and efficiency. It’s a performance laptop built for professionals and businesses. The carbon fiber lid is probably the best part about the design. The bezels around the screen aren’t too big, so you feel like you’re getting a big screen. They’re not super slim, but not super thick as well. They don’t really compromise the 13.3” screen at all. It still feels roomy and big enough for the price you pay. The screen itself is dull matte in color when viewed under a dim light, and has nearly no reflection. When viewed under bright light, it’s invisible. The material body feels plasticky, but durable. Overall, it somewhat looks expensive but doesn’t really match up to the price. It’s really the hardware and design that makes it what it is. The performance of the laptop makes it worth the price. Dell offers a full year of hardware service, with onsite repair following a diagnosis over the phone or email. Overall, if you’re looking for a higher-end Chromebook, it’s an excellent choice. If you have more money to spend, check out the Chromebook Pixel. The Chromebook 13 is about half the price of the Pixel, but the performance of it is worth every dollar. It’s a Chromebook that’s fast and can handle almost anything you throw at it. It’s built for performance with a snazzy metallic finish and a carbon fiber lid. I’d recommend this for business professionals or students. It should be more than suitable.